Peninsula.A barcode and business software company. Available 24hrs a day online. therefore only available via email. We will get back to you as soon as possible please allow for international time differences. Free technical support is only available for 1 year after purchase after this period it will charged on a per case basis, upgrading a product entitles you to a further 1 year of free support from the date of purchase. 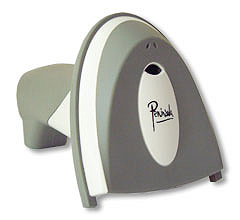 Barcode Readers .com is the Auto ID hardware business of Peninsula Group, the largest UK manufacturer of barcoding related software and hardware. The business was founded as a barcode software company in 1989 to solve the problems of integrating barcode images into artwork. Barcode, the flagship software product is now in it's eleventh incarnation and is the industry leader worldwide in its field. Peninsula has had year on year growth of 100% for the past 15 years. Striving to produce cost effective, simple to use products. Peninsula have built and supported the barcode software and hardware industry since 1989 changing it from an overpriced, complicated business to simple off the shelf, in stock products, for immediate delivery. Today, the Peninsula industry leading range of products covers every aspect of Barcode production and reading. Peninsula is a market leader in this field, pushing the boundaries of what is possible with current technology. Peninsula have produced many firsts, including the worlds first software only barcode verifier in 1990, and postnet forms reading software, with auto barcode discovery in 1998. The Peninsula professional range of barcode products for business includes complete suites of equipment, powerfull barcode production and tracking systems, barcode readers and barcode scanners, barcode printers and even state of the art developer tools for popular databases and programming languages. Peninsula products have revolutionised thousands of businesses worldwide, making it cost effective and simple for them to use barcode technology where previously it was prohibitively expensive to do so. The secret to Peninsula's success is its 'Customer Orientated' approach to business - always striving to provide a quality service at an affordable price. Our goal as a company is to continue to improve our level of service to our customers. We have an experienced and enthusiastic team willing to help, so if you have any helpful suggestions please e-mail us. At Peninsula we believe in choice, this is why you can purchase products direct from us for immediate delivery or from your local reseller for local peace of mind. In the UK we offer next day delivery on all products, everything on our website is in stock for next day delivery. We offer 2 day shipping in europe and 3-5 day shipping to the USA and rest of the world. In the UK we now also offer an instalation service, at additional cost for companies who need a complete service. All products are tested prior to despatch ensuring they arrive ready to use. As you are dealing direct with the manufacturer you receive fully informed free support. If you email us we will get back to you, please allow for time differences with your part of the world. All products come complete, all cables for the computer of your choice are included in the box with hardware. Thank you for taking the time to learn a little about us, we hope you enjoy your visit to our website.